Fame, riches, and glory. Your name in lights. When many people begin to take music seriously, they use these visuals as their primary motivators. To this day, pop divas and rock stars are filling arenas around the world, playing their music to hundreds of thousands of screaming fans night after night after night. Think back on all of the bands that are selling out arenas in every city on a headlining tour. How many of them have emerged onto the scene within the past 10 or 15 years? There may be quite a few, but when you compare that number to the number of bands that are out touring in clubs and houses right now, it's a very wide ratio. The percentage of bands that occupy the stereotypical image of "rock stardom" is getting smaller and smaller every year. The musical economy is in a massive state of transition right now, and it's making financial matters very difficult for most musicians. Recent articles about the band Pomplamoose have brought the matter of money in music into a visceral light, and their perspective is one that's generating a lot of conversation. Just how difficult is it to reach true "stardom"? On Pomplamoose's last US tour, they made almost $136,000 and still managed to lose almost $12,000 in the end. In a recent blog post, band member Jack Conte outlined it all down to the last detail. There have been lots of responses from bloggers everywhere, some of them praising the band for its wise investment, others chastising their wasteful expenditures. The kicker? Pomplamoose isn't paying for arena band treatment. Production costs, a small crew, and lodging were their primary expenses, and they certainly weren’t using pyrotechnics, traveling in a tour bus, or staying in five-star hotelrooms. If a band that's played to this many people and made this much money on a tour – having reached a point that many bands never will – can't even break even on a tour, just how difficult is it to reach true "stardom"? The Atlantic's Joe Pinsker had a particularly thought-provoking take on the situation: "It's important not to lose sight of the fact that every musician has a different business model and a different goal; to me, 'making it' might mean sleeping in a van, but to you, it might mean having a light show." This is the case in many businesses, such as restaurants, where one typically has to spend (invest) money in order to make it. If you think of your indie band as a small business, this tour could be seen as a strong step forward for the band, rather than a step back (especially if you're able to turn this loss around on the next tour). Also note that Pomplamoose makes their living from the band and does well enough financially that they could handle the loss. For many bands, taking a loss on a big tour would cause serious problems. At that point, taking measures to spend the least amount of money on tour as possible is a must. For some groups, just being on tour and breaking even feels like "making it," even if they're sleeping in their van or on couches. 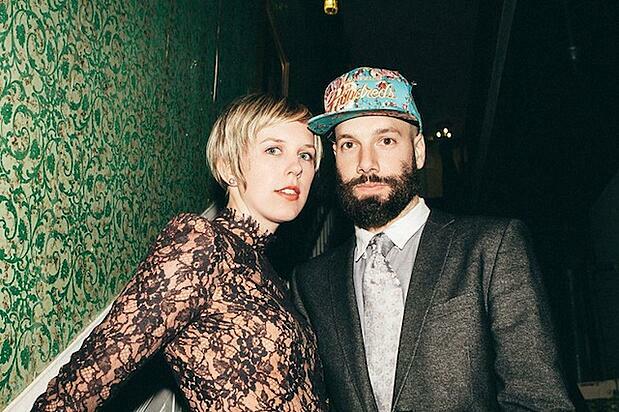 Many have chosen to see the Pomplamoose story as a "how not to tour" guide. Others see it as something extremely positive for the band. I believe that the key takeaway from the article is that the idea of "making it" needs to be redefined on a case-by-case basis to fit the goals and resources of each individual artist. In the end, if you can make your living making music, you're doing better than a vast majority of others, and you should be appreciative of that regardless of how far away your end goal might be.